By eliminating all the unnecessary elements, like white spaces, comments, new line characters, etc., it helps in minimizing the size of the source code by up to 80%. 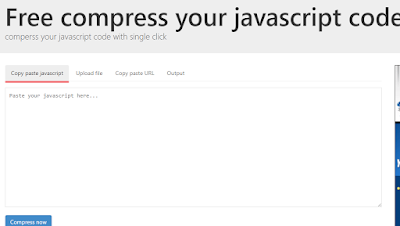 Copy the JS Code that you want to compress. 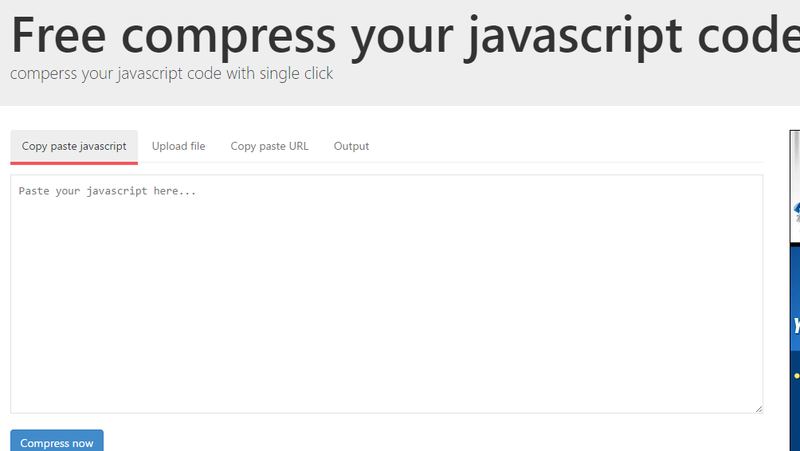 Press “Compress Now” Button, and get the compressed code. This tool is exceptionally fast, and delivers the compressed code within a few seconds. It enhances the loading speed of the website and delivers faster loading websites capable of getting loaded even with the smaller bandwidths. 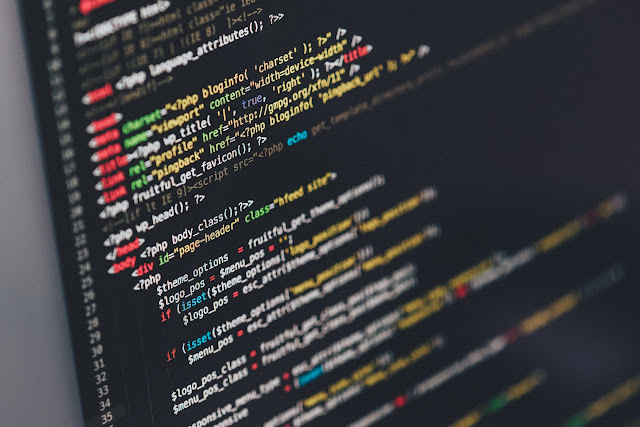 Apart from removing unnecessary elements, the variable names are shortened, and are usually replaced by single characters, the JS compression tools deliver extraordinary compression. The “If” statements are optimized, simple constant expressions are calculated, and the arrays are converted into objects wherever possible to achieve unmatched compression. The compression is done very intelligently, so that the functionality of the source code does not get compromised. Moreover, it helps in improving the performance of a website significantly. With all these benefits, JS minification is something, you must do with your JS code to optimize your website.